It is a great feeling to launch a start up. It is like putting your idea into reality and then rear it like your own child and then transform it into reality through hard-work and dedication. This is the point when the real work starts. The marketing approach that you carry out during the initial stages of start up will decide its success or failure. 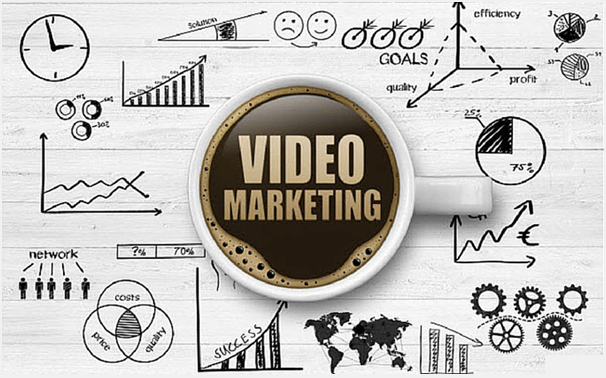 In today’s online marketing world; video can be a perfect source for brand marketing. However, it is necessary to master video marketing. This can be a tough task. Here, in this article; you will get some tips and tricks that can help any start up to proceed ahead with video marketing so that one can easily develop a perfect online presence. From video creation to marketing as well as audience engagement, most of things will be covered. Video Creation: Few years back; it was difficult to get a video for advertising product or service. You had to find a scriptwriter and then conduct the storyboarding, find the right actor and then find a crew to shoot the entire thing. But now this process has become very easy. One can easily get the video developed at very nominal costs and that too within fewer time frames. This has become possible with quick technological innovation in the entertainment space. Various tools like Animoto and Powtoon easily help to edit videos anytime. Hire Video Content Creators: It is easy to find original video content creators on channels like YouTube and Vine. These will do scripting and story boarding at a lower cost and with quick turnaround time. The only thing is to promote and market the videos and many times this also is been looked over by creators. In case you wish to do some research and get the right creators then you can get some tools like Vidooly’s creator wizard. Distribution: Once the video is done, it is necessary to distribute it on several places. There are many video sharing and distribution sites available that you need to decide and then shortlist the ones which can work for you. YouTube, Facebook and Vine are the great platforms which can increase the visibility for any kind of business. Others like Dailymotion and Vimeo can also serve the purpose. Try to make entertaining videos so that you can easily get maximum organic reach from these platforms. Optimisation & Marketing: Once the video is created then it is to be optimized to give maximum reach. If you have your YouTube Channel then you can easily upload the video there and then follow the best practices to make sure that it reaches lot of audience. Make use of proper keywords and annotations; always use best tags to boost the search volume for the videos. One can also target prospective audience via paid advertising on Facebook and YouTube. If you manage to get good tractions then you will have improved long term reach ability and engagement. Well, this is not the end here. There are many more such techniques that can be useful to boost your video marketing efforts. Online marketing experts at Platinum SEO; a well known SEO Company in Sydney will help you at each and every step of video marketing.